Asia's largest festival at sea was exactly a month ago! 4 days 3 nights onboard Mariner Of The Seas was epic. The cruise ship had a total of 14 floors if I'm not mistaken, including a few pools, hot tubs, a mall, rock climbing wall, basketball court etc. It's The Ship had literally EVERYTHING! Anything you want or need is on the ship. The first day had me so stunned because of how beautiful the cruise was. This was to be my home for 3 nights. First thing's first, you'd expect everyone to board there ship in orderly manner, check in to their cabin for a nap and wait till sundown to actually party but this isn't the case with It's The Ship. The minute you step foot past the immigration, party goers are chanting and getting ready to party with no sleep preferably for the next 4 days and 3 nights. I spent the night before partying in KL with Redza & a bunch of friends so we practically did not even get an ounce of sleep except for a 30 minute nap on the plane from KL to SG. We tried to stay strong but eventually fell asleep in our cabin till sundown and that's when we went all out. Truth be told, I don't think anyone would understand fully how to enjoy themselves at a party until they actually experience a festival once or twice in their lifetime. From Dada Life and Knife Party having a back-to-back live set to every mom's all time hottie back in the day, David Hasselhoff hosting the night at the main stage. Day 2, or should I say after a few hours of partying and another few hours of napping...we woke up for brunch and decided to chill by the pool with some beer, just casually starting our day fresh. Day 2 is when the weak gets sea sick and absolutely tired of alcohol and partying because they got too excited on day 1. 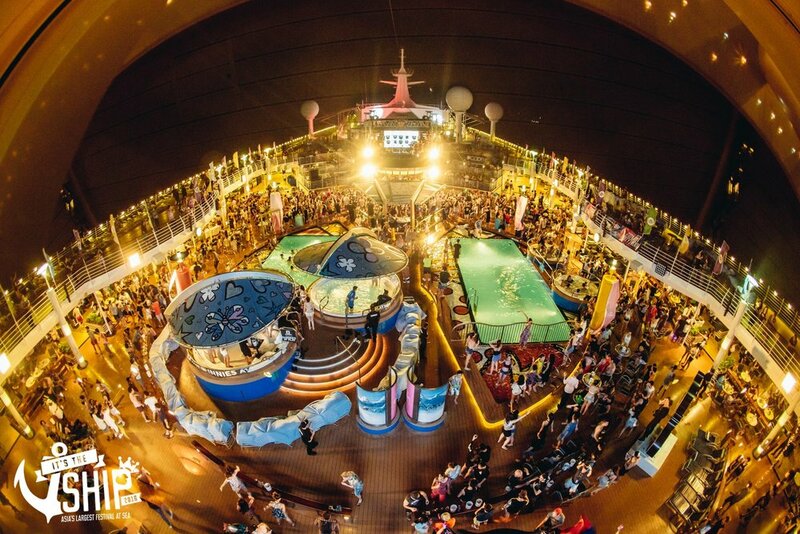 Fret not, It's The Ship 2016 is a festival that does not only make sure your experience partying on the cruise is epic, but they also have it filled with side events where you can interact with some of the top celebrities in the music industry that's on board the party cruise as well. From belly flop competitions to barbecuing with the stars, your pick but make sure you're one of the first to sign up for it on day 1. In between partying on the cruise, we made a stop at Penang and had the whole of Upper Penang Road to ourselves. Upper Penang Road is the Changkat in KL of Penang. It's filled with clubs and bars, everything you'd expect for good night out with your best mates. Livescape Asia outdid it this time with the really cool pimped up rickshaw bringing us to Upper Penang Road. From delicious Penang food to international music and people having a good time around you. Nothing beats good vibes and good company. Day 3 was my favourite because Sunnery James Ryan Marciano, Marlo and Andrew Rayel's killed it with their live sets. That night all the party goers had the opportunity to dress up for the gala night hosted by David Hasselhoff. The best part of that night was when a bunch of us went from the dinner table to the casino to bet on my boyfriend to see if he'd win some cash AND HE DID. I swear to god, I was so stunned because I was getting pissy that he was wasting quite a bit of cash. Nevertheless, it was one of the highlights of the trip. 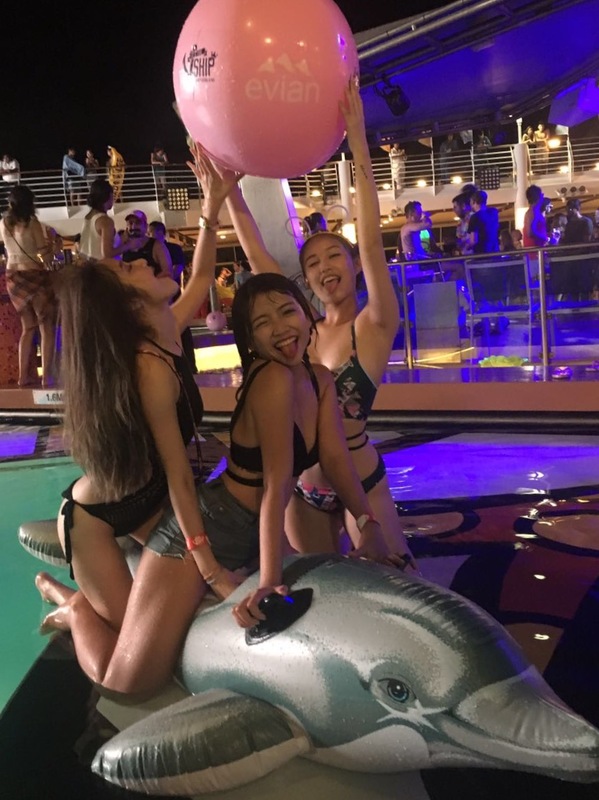 One last party to commemorate It's The Ship 2016 was the Zoukout Sunrise Party. One last time with the shipmates from 2am to 7am, just in time for the last sunrise on board the Mariner Of The Seas. I absolutely can't wait for next year, an annual tradition until I decide sleep is way more important than the good nights I ought to miss. Much love to Livescape Asia, Gushcloud Malaysia and All Is Amazing! Watch this for more insights on It's The Ship 2016!